The retina is a layer of light sensitive tissue that lines the inner surface of the back of the eye. It captures light and sends signals up the optic nerve to the brain that result in vision. 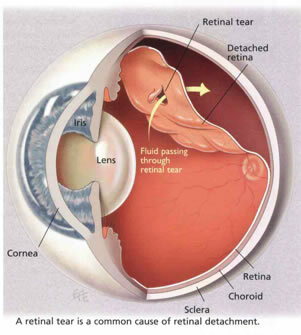 When a retinal detachment occurs the retina is separated from the underlying tissue and stops functioning. Wherever the retina detaches, vision is lost and a growing shadow develops. While a retinal tear can often be treated in a doctors rooms with laser, a retinal detachment is a more serious condition and may require surgery. A Vitrectomy is performed for epiretinal membrane pucker, a macular hole, retinal detachment, vitreous haemorrhage, macular oedema and severe cases of floaters. 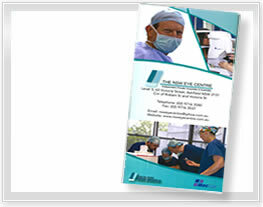 This involves intraocular microsurgery with surgical removal of some of the vitreous fluid and any blood from the inside of the eye. Your surgeon will then create a support for reattaching the retina, it can be smoothed back into place using a gas bubble, heavy liquid, or a Scleral buckle to secure it as it heals. Intravitreal Injections – A drug such as Avastin or Lucentis designed to suppress new vessel growth to prevent worsening of vision. Steroids can also be injected to reduce inflammation. Injections are usually used for patients who present with wet macular degeneration, diabetic retinopathy, central retinal vein occlusion and post operative macular oedema. The repair of retinal detachments has improved greatly over the past few decades, with surgery also offering restoring useful vision to many patients. 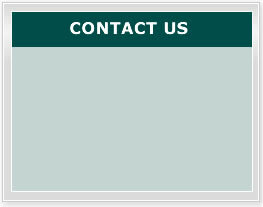 For more information on retinal disorders please contact one of our retinal specialists.